...that's what she says, right? Smallville's Kristin Kreuk to be lightning legged Chun Li in the newest Street Fighter movie in oh-nine. This should be the peak of all your female video game character fantasies come true. Directed by Andrzej Bartkowiak (Speed, Romeo Must Die, Thirteen Days), this Street Fighter story surrounds Chun Li and her "quest for justice". Now, we're all left to wonder which outfit they'll put Kristin in. AH HEE HEE HEE HEE HEE! YATTA! Handbags to lug into combat! The Pursuader (purse-suader! get it?!) is a sub-machine gun shaped laser shaped leather purse complete with a cell phone holder in the clip. For those who like to live life like a battle, they're available in silver or pink. Knock people out with "The Peacekeeper 300", a handbag with brass knuckles for a handle. Its available in multiple colors and materials, and guaranteed to make you rule the streets. For those not into weapons here's something a little more morbid! "Tinkerbell" is inspired by Paris Hilton's denied dog of the same name addressing the issue of carrying a small dog as a fashion accessory. Unfortunately, as of this writing, these puppies are sold out. Finally, there is the less intimidating but just as fashionable "Chesterton", which combines the best of old and new style and technology. Ladies ready for war will immediately report to James Piatt/Sundae Best. Dismissed! 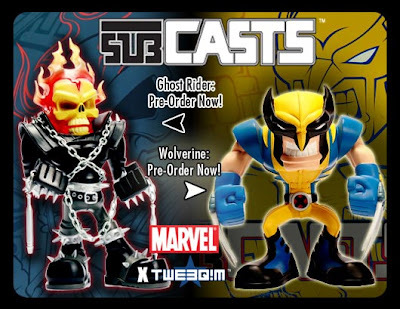 So, oh well...Ghost Rider and Wolverine can't join your stack underneath the tree...but hey, who says you can't have a "happy-new-year-gift"? Both figures are limited to 2000 and will be available to ship by january fourth. But no need to wait, Upper Deck is taking preorders now. 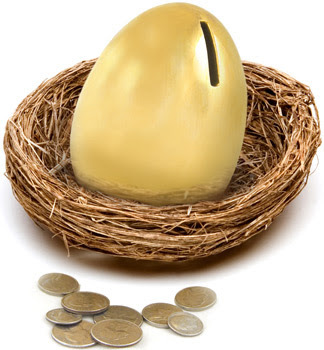 ...to put moola away for your Nest Egg. this genius product makes it so easy! and take advantage of their free shipping...now until monday. Sorry for the lack of updates on my part. It has been a busy and tough quarter. It's all G though... I'm back home in SD to catch up on sleep and laziness. A while back, I received a package from Enna (remember? Kami-Robo?) 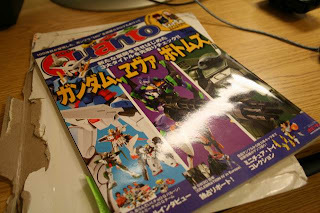 that contained an issue of QUANTO magazine; Japan's top selling magazine for toy model kit and hobby enthusiasts. 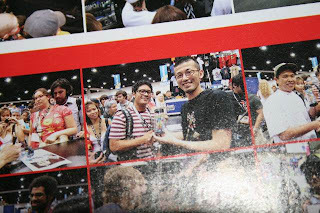 To my suprise, They included a tiny photo of me with Yasui san in the insert the magazine did on the San Diego Comic-Con. 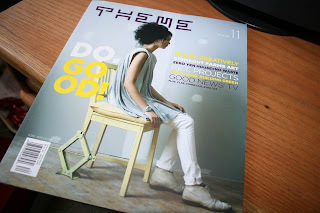 Fall 2007 issue of THEME magazine. 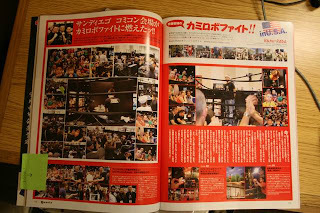 Also on my desk, a copy of Staple's 10th Anniversary look book featuring models Sakiko Ann Sugano and Maria Ozawa. I'm not gonna link them here, so google them yourself. 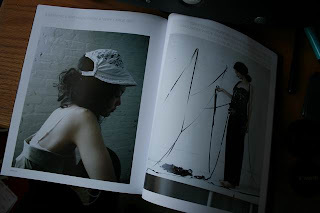 Photos by Yonehara himself. He is awesome. Cheap stuff for sale at Commissary (SD). This shop is always killin' it. Gonna eat some Popeyes then go back to sleep. Should be up around 11:30 AM - Noon. Batmobile Lost a Wheel . . .
and a press release photo of Heath Ledger as the Joker can now be seen on the web, HEY! Yes, it's true. That guy from 10 Things I Hate About You who is also one half of the infamous gay cowboy duo will be donning the iconic green hair, purple suit, and white make-up that Jack Nicholson made look oh-so-sinister nearly 18 years ago. Truth be told, no one can play the Joker like Mr. Nicholson, but I suppose we should give ol' Heath Cliff a chance. 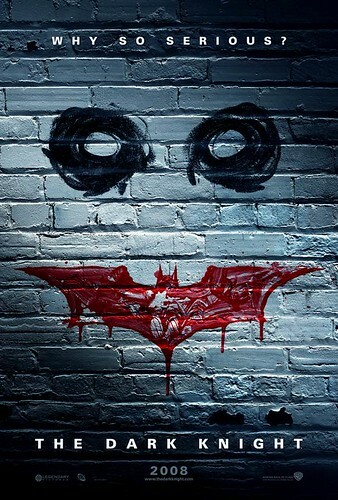 I mean, if Val Kilmer, George Clooney and Christian Bale (::sigh::) got a chance to reincarnate the Dark Knight after Michael Keaton (and hell, Adam West), why not someone do the Joker? 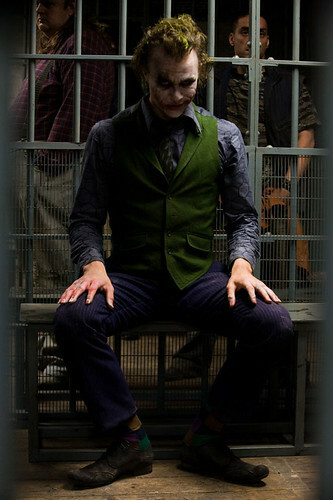 Whether Ledger did the role any justice will remain to be seen until The Dark Knight's release in July 2008. Hmmm . . . what do you guys think???? Obey, in collabo with Global Grassroots H.O.P.E. (helping other people everywhere) Campaign, is bringing awareness and empowerment to the people of Darfur through these limited edition cotton tee colorways. The tee is designed in true Shepard Fairey fashion based on a pic by Brian Steidle, titled Girl and Brother. Proceeds will benefit the H.O.P.E. Campaign. a definite MUST on everyone's wishlist this holiday. 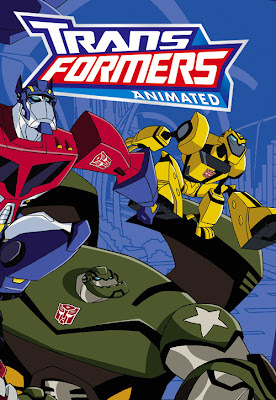 The legendary Transformers saga is heading back our way to our tv sets AND in the form of a graphic novel. 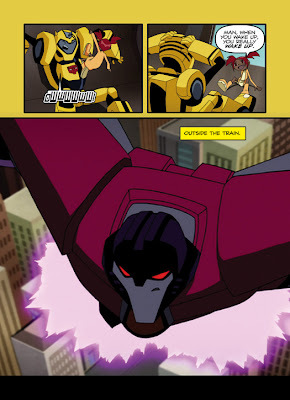 The upcoming series, Transformers Animated, will take place in the future city of New Detriot where the Autobots defend the city from Decepticons. Some of our old school faves will be there as well as new characters. The tv series is just around the corner -- scheduled to hit tvs in January 2008. 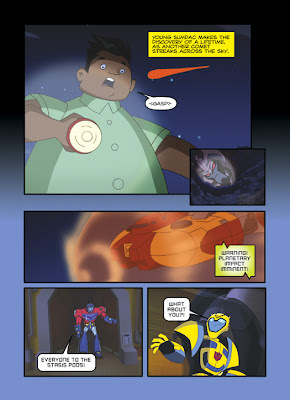 The graphic novel will also be out at the same time and will tell the story of the show's seventy minute pilot. Each subsequent volume will include two complete stand-alone episodes of the series. This week, all we talked about were events going on throughout the week. Everyone on your holiday list deserves the right to look fly. Check out today and Saturday. Miz Fergie will be promoting handbag line and signing autographs at 3pm. word on the street says only two hundred die hards are allowed to see her up close and personal. Must cop at least one hundred bucks of fergie goods to be able to meet the fergerator -- macys suggests purchasing before Saturday. Dudes, major plus points...the chickas will thank you. 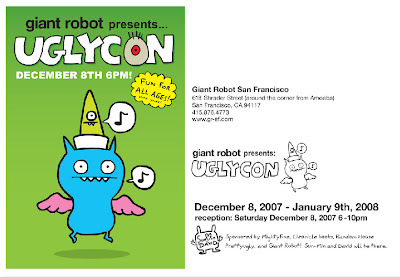 Giant Robot in SF will be hosting the second annual Ugly Con. It's gonna get ugly up in there this Saturday, for its reception night, starting at 6pm. YES, you heard right --- get your 'fit outta the closet, there's a Costume contest. 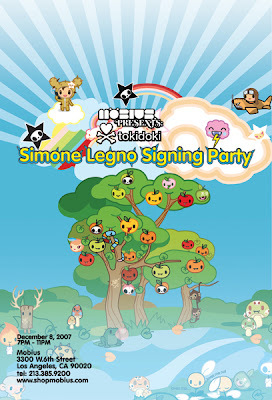 There will also be three exclusive, new, limited releases at the partay. 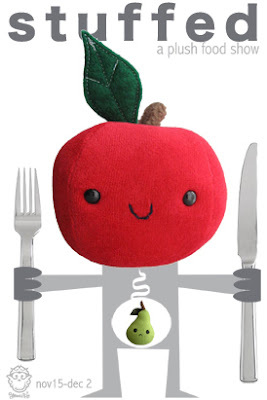 Back by popular demand, Munky King Melrose will have an encore presentation of STUFFED -- an exhibition featuring plush food by various artists -- this Saturday from noon to eight pm. The show will go on if it doesn't rain. 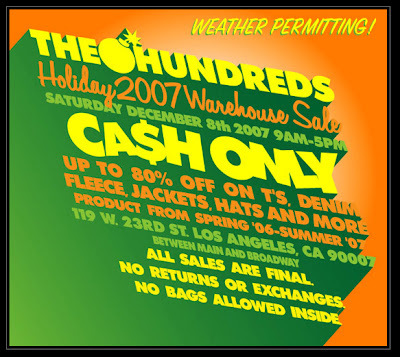 The Hundreds say to check out their blog, either the nite before or morning of, to make sure the event happens. 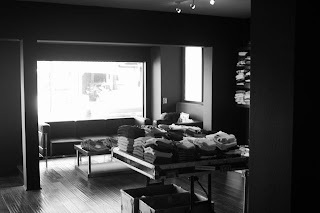 Kendo, the sneaker boutique for women -- genius i tell ya! 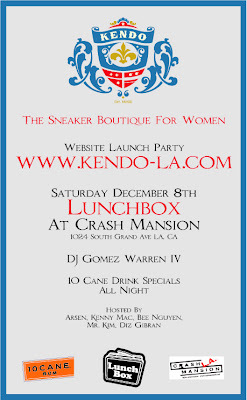 -- is celebrating the launch of their site by throwing a party at the Lunchbox at Crash Mansion in LA, this Saturday. Doors open at 10pm. Don't forget to rsvp! whew! now, which one of yous will be down to go to all? double dawg dare ya. 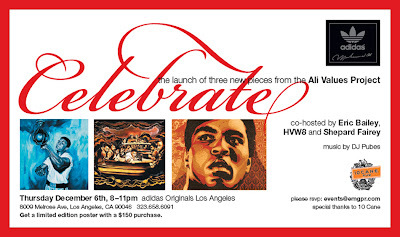 he'll be signing showing off the anticipated addition to his vinyl madness...the cactus pups and catus cats this saturday from 7pm - 11pm at Mobius in L.A.
the adidas originals Ali Values Project will have three more new pieces joining the collection and will be celebrating this Thursday December 6th at the adidas Originals Los Angeles. Six live-by values, Six sicka$$ artists. Come hangout with some of the world renown artist involved in the series -- Eric Bailey(dedication), HVW8 (giving), and Shepard Fairey (conviction) will be co-hosting the event. Click on the flyer above and dont forget to rsvp. 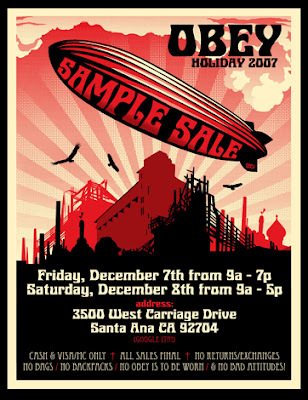 And with a $150 purchase, you'll receive a limited edition poster. sweet deal.